Want to Go to Dallas, TX? 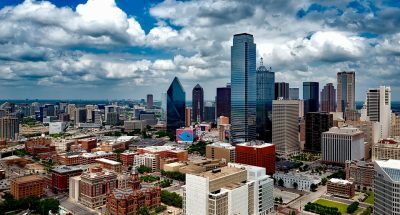 Dallas, TX is the third largest city in Texas with a population of 1,300,000. It is also the largest metropolitan area in the nation that is not on an open body of water. Dallas carries historical importance as a center for the oil and cotton industries. Today, trade remains the core of the economy. The largest urban arts district in the United States also has its home here in Dallas. Whether you are going to see one of the first original copies of the “Declaration of Independence” at the Dallas Public Library or you are making Dallas your new home, you can use a car transport service to assist you in moving your car. We Can Help Ship Your Car! The drive from Baltimore, MD to Dallas, TX is about 20 hours long and 1,365 miles. Putting those extra miles on your car that will decrease its value. You would also have to spend money on gas and possible hotel lodging. By using Baltimore Car Transport, you can avoid the stress and hassle of driving and allow our team to professionally plan your car transport. We have affordable prices and different shipping options to accommodate your needs. Give us a call now or fill out the short form above and one of our agents will reach you back quickly with a free quote.